In this episode of Fire and Adjust, I had the pleasure of talking with Chris Cerrone host of the Cerrone Show. Chris just started his podcast in February of 2014 and at the time of the interview had over 18500 downloads in just one month. It has been a few weeks since Chris and I talked and the Cerrone Show is sitting at over 140,000+ downloads and is steadily climbing day in and day out. Now Chris may not be a Veteran or Current Military but what he has done over the years with his many different careers and business endeavors is extremely motivating and in this episode we get into some of the amazing things Chris has accomplished. 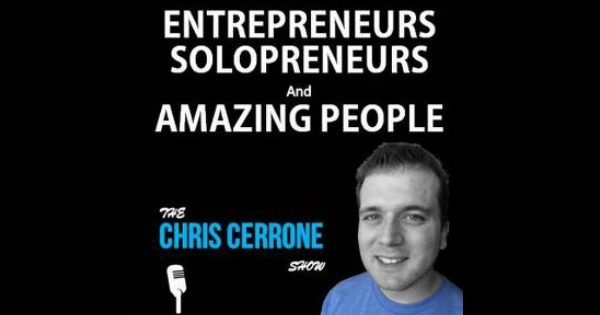 You will hear how Chris with No College degree became successful in Real Estate, owned a Cafe, climbed the ladder in the corporate world and finally turned down a life changing job to start the Cerrone Show.